Nature lovers will have a blast at these beautiful, eco-friendly resorts around the Maritimes! From log cabins and yurts to glamping, we’ve got options for every kind of adventure and accommodation style. 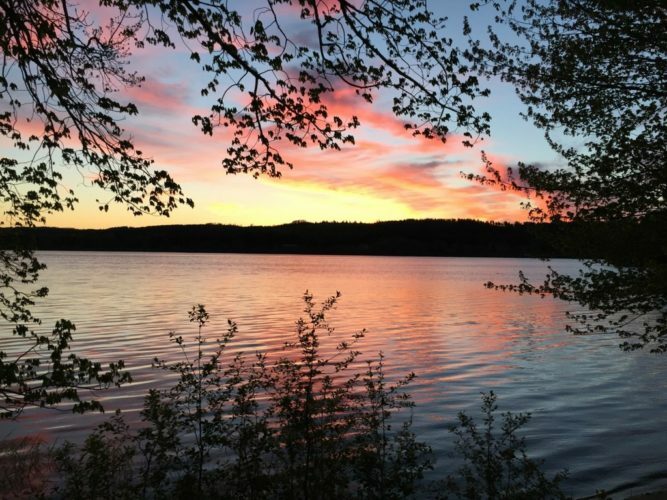 Windhorse is a place for healing, rejuvenating, and connecting with nature. It’s a very popular spot for retreats and wellness events, or just a weekend away to disconnect. There is a special energy at Windhorse, and everyone who visits experiences its magic. PEI’s year-round wellness retreat is a perfect place to unwind on the island. 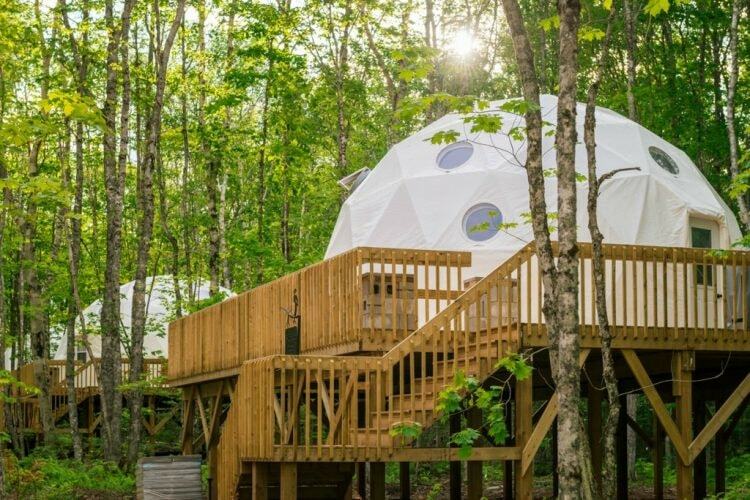 Stay in one of their tree pod domes and enjoy their many outdoor activities, including hiking, forest bathing, and visiting the nearby beach. This adults-only retreat provides you and your partner with a beautiful getaway in the heart of New Brunswick. Enjoy “glamping” in their stunning domes, lounge in a chalet, or take a dip in one of the wood-fired hot tubs. Ridgeback Lodge is an excellent place to enjoy romance in the great outdoors. Cabot Shores is focused on sustainability and introducing its visitors to the beauty of Cape Breton’s wilderness. 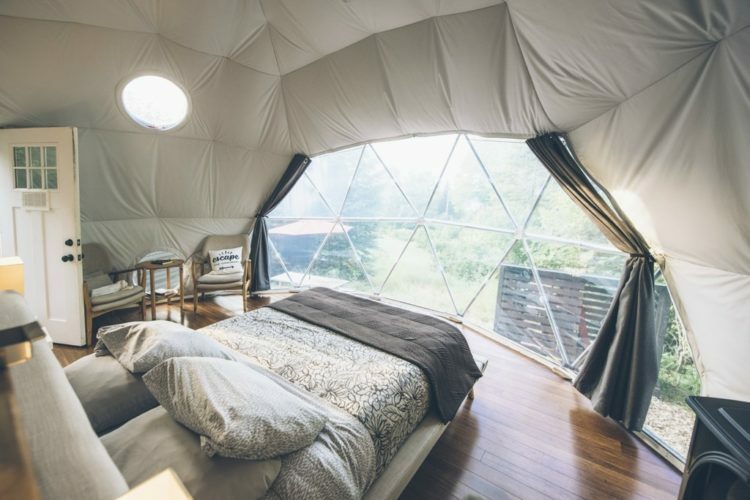 They offer lots of accommodation options, including chalets, yurts, domes, and camping, along with plenty of outdoor activities and wellness, healing practices. It’s a wonderful place to unplug and recharge. Trout Point Lodge is one of the top-rated accommodations in all of Atlantic Canada and offers its visitors the perfect blend of luxury and wilderness. This five-star inn, located in the Tobeatic Wilderness area, offers numerous ecotourism activities, including stargazing, forest bathing, and geology excursions. Relax in their riverside wood-fired hot tubs and barrel saunas and enjoy the spectacular menu, which sources its ingredients from the on-site garden and forest foraging.